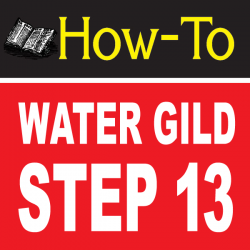 13 Paint Back-Up Enamel paint onto areas you want to lock down, if using a brush, apply 2 coats back to back. wait for Back-up paint to dry. 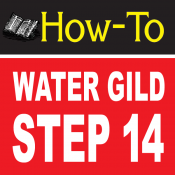 Water Gilding Step By Step Part 14 listed below.